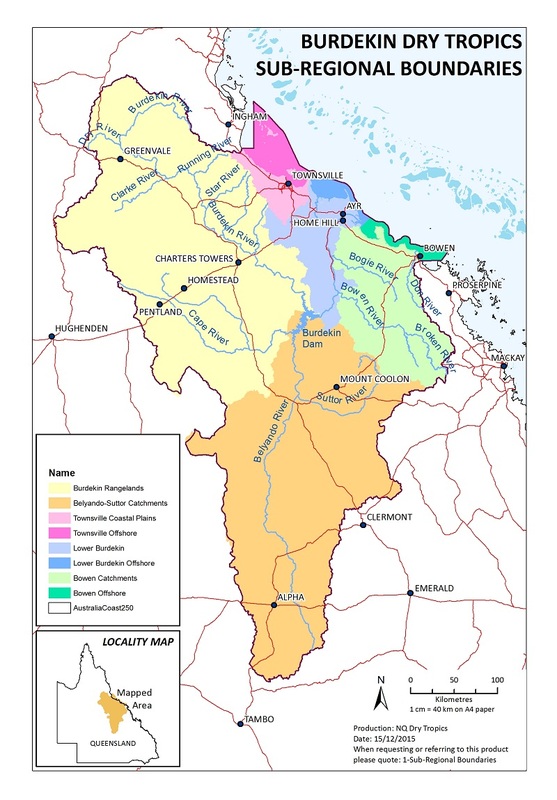 The 2005-2010 Burdekin Dry Tropics Natural Resource Management (NRM) Plan was developed in consultation with a range of sub-regional communities, to ensure that it incorporated local values and knowledge. We built-on this process to develop the 2016 plan, conducting community forums around our region to capture local input. The following summarises the landscapes, people and priorities in each of the five sub-regions. These sub-regional priorities are reflected in the regional goals, objectives and strategies described in the five themes (People Connections, Climate Change, Land, Water & Biodiversity) of the strategic direction of the 2016 NRM Plan.